Want to inject some adrenaline into your life this summer? Are you suffering from the post-holiday blues? Phil Price Rally School promise an phenomenal full day of driving for all participants. Whether you’re booking for yourself or a loved-one, all drivers are guaranteed to have the experience of a lifetime at our venue in central Wales. Phil Price also promise an awesome time for anybody attending as a spectator, whether you’ve come to watch a friend or relative churn up mud! We’ve built up an outstanding reputation for our rally experiences over the past 25 years and promise an incredible adrenaline explosion through the Welsh countryside. Our instructors have the same enthusiasm they’ve always had for this motorsport, after working in the industry since the early 1980s. Highly professional but fun at the same time, their passion has been described as ‘highly infectious’. 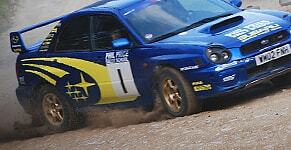 We enable you to get behind the wheel of a fully prepared Subaru Impreza, with 4 prepared vehicles for every course. Our gift vouchers are ideal for all sorts of special occasions, from weddings and 21st birthdays to graduation gifts. You can also pay for half in advance and the rest on the day. 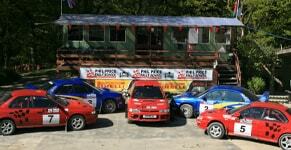 Find out more about our amazing rally car experiences.